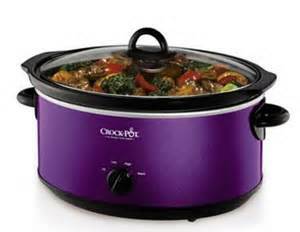 …..use your crock pot (slow cooker) to create a delicious array of healthy vegetarian meals. Delicious meals that prepare themselves! Stop back often to see what new recipes we have added! Breakfast Oatmeal — a hearty breakfast full of fiber and healthy nutrients. Serve with fruit for even more flavor. Vegetarian Chili— a timeless favorite, even meat eaters won’t miss the usual meat component. Full of fiber for a warm, hearty meal. Vegetarian Swiss Steak— an old classic, made healthy & meat free! Serve this to your family or when entertaining. Broccoli Soup— made vegetarian and healthy, this favorite soup is perfect for luncheons, too. Barley Vegetable Soup–a hearty, warm soup for those cool evenings. Use your slow cooker for these and more. Do you have a favorite vegetarian slow cooker recipe? Or perhaps a favorite non-vegetarian recipe that you would like to have re-made into a healthy vegetarian one? Send your recipes to me at: diane@christmascountrymom.com Include pictures, if you have them. We’ll feature the vegetarian recipes, when possible, and will be happy to help re-create your family favorites into healthy, vegetarian slow cooker delights! Most recipes work well on the stove, in the oven, or in a slow cooker. Why then choose the slow cooker? Quite simply, it allows you to set your meal to cook while you tend to other parts of life. It cooks overnight, while you sleep. You can prepare dinner at breakfast, set it up in the slow cooker, and your dinner is done when you are ready to eat! Added health benefits make it even more appealing. Food cooks with minimal to no fats. Cooking at lower temperatures preserves more nutrients. Your food cooks in its serving dish, making clean up quite easy, too.